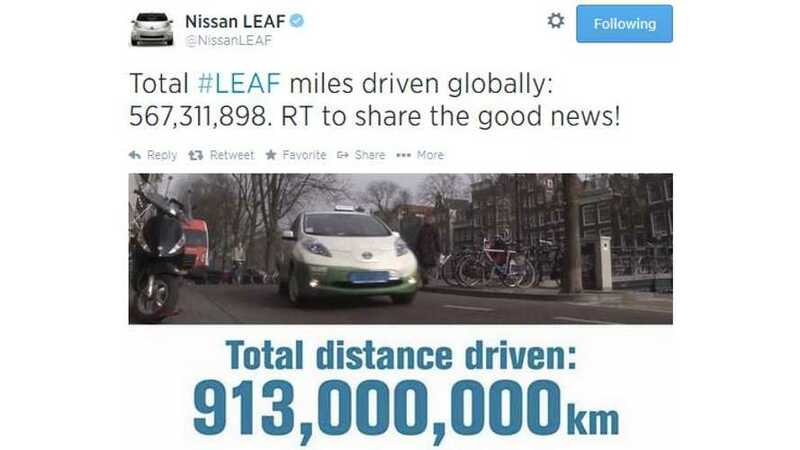 Today's news flash is on Nissan LEAF miles driven globally. Nissan reports that the world's LEAF drivers have driven more than 567 million miles - or 913,000,000 km, emitting zero in the process. We assume this 567,311,898-miles-drive figure is based on a calculation of total distance driven by all Nissan LEAF vehicles registered to CARWINGS; therefore the actual 'real world' numbers is likely much higher. That race towards 1 billion kilometers draws near.